Essex Boys and Girls Clubs was established in 1939 as the Essex Association of Boys’ Clubs. We updated our name in 2006 and we often shorten it to EBGC. We were formed in 1939 to provide young boys with opportunities to improve their chances in life. In the early years the main emphasis was in metropolitan Essex and the Thames corridor, with affiliated clubs running at an average of 45-50. 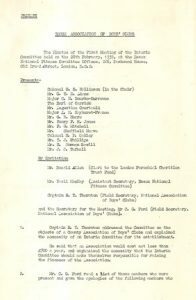 During the 1950s and 1960s the Association extended into mid and east Essex. In 1996 a positive decision was taken, with financial support with the then National Lotteries Charities Board, to grow the Association with proactive approaches to local communities, offering quality service and advice in the establishment of new clubs, supporting club leaders and widening the services and activities provided. 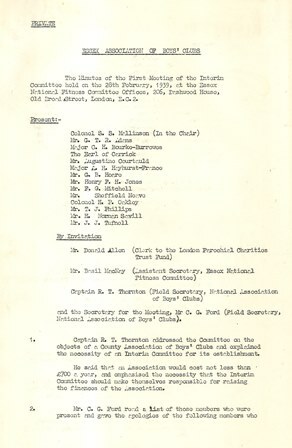 Essex Boys and Girls Clubs now covers the statutory authorities of Essex, Southend and Thurrock as well as the metropolitan areas of ‘old Essex’, including the London Boroughs of Havering, Redbridge, Barking & Dagenham, and provides support, in exceptional circumstances, to additional clubs in London, Suffolk, Hertfordshire, Norfolk and Cambridgeshire. To this day, EBGC continues to promote the adventurous nature of its founding Chairman, explorer Augustine Courtauld. After many years of taking club members to visit outdoor centres all over the country, in 1996 EBGC obtained the private lease to Stubbers Adventure Centre. The charity set about developing a high quality outdoor adventure centre that would benefit affiliated clubs and local young people. Stubbers now operates as a successful not-for-profit business, winning the Havering Growing Business of the Year Award in 2016. In 2004 EBGC obtained a ten-year lease to High Row, a residential outdoor activity centre in the Lake District. EBGC purchased the centre in 2015. In 2014 EBGC purchased Maes y Lade, a residential centre in the Brecon Beacons in Wales, that had previously been owned by Essex County Council. Mountain work continues to play a key role in EBGC’s youthwork toolkit, providing sharp contrast to the flat and relatively urban environments of Essex and East London. This approach is sustained by a staff team of experienced Winter Mountain Leaders, Mountain Leaders and Outdoor People. ‘Leave No Trace‘ principles are practiced and the young people of the region are taught to enjoy nature and the outdoors for their restorative and character-building qualities. Our charity is run by an Executive Committee of Trustees, who are all volunteers. The day-to-day business is run by a small team of paid staff, headed by Director Martin Solder. 1973 – 1977: C.J. Carter, JP, DL, known as Jack. This record keeps us in touch with the history and original aims of our organisation. It reminds us that, although the world has changed a lot, many of the issues facing clubs and young people, particularly those in poverty, have been seen before. These records help us to learn from our trials and successes. The progressive nature of our organisation’s leaders through the years have ensured that we maintain a forward looking attitude, looking ahead for long-term sustainability. So many photos have been taken over the years!